If you’re thinking of selling your home, don’t do it alone. Although some sellers may initially try to sell their home themselves, they soon realize they need an experienced professional on their side to help them through the process. like me, is able to help you understand this information in the context of the local market and interpret what it means to your home sale. do both, especially in competitive markets. A marketing strategy means nothing if you’re not targeting the right buyers. The first few weeks a house is on the market are vital. The longer a home remains on the market, the more likely a seller will have to reduce their listing price and/or offer incentives, such as gift cards, bonuses or even cars, to attract buyers. * A real estate pro has the experience and connections to find the right buyers for your home. All sellers want their homes purchased at the listed price, if not more. Studies show that enlisting the aid of an agent to sell your home will net you more money than trying to sell it yourself. Buyers are looking for a deal on a home, and they’ll hire an experienced agent to negotiate the sale for them. Having a real estate pro on your side will even the playing field and help you negotiate the terms of the sale with your best interest in mind. Every real estate transaction is different. While we hope the transaction goes smoothly, setbacks and other hiccups often occur, and at the most inconvenient time. Sellers who have listed their homes themselves may not have the experience and know-how to deal with these issues as they arise; however, a real estate pro can tap into their experiences to handle potential problems, such as issues with a home inspection or problems with a title, and mitigate their impact. faster in a competitive market. 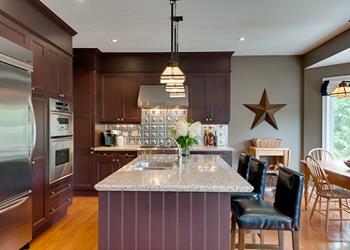 What should you do to boost your home’s value and give it the competitive edge in our market? Ask me! I work alongside other local real estate professionals who may have clients looking for a home just like yours. Marketing your home to other agents is another way to help us find a qualified buyer. Real estate professionals work with a variety of service and tradespeople, including contractors, landscapers, movers and more. There is an average of 26 services involved in a real estate transaction in the 30 days before and after it has closed; however, you may need to tap into these services long after the ink has dried. A real estate pro can refer you to a reputable tradesperson in your local area. What do sellers want most from their agents? answer any questions you have and give you the scoop on our local market. • Limits buyers: Potential buyers may not view your home, because it would be out of their buying range. • Limits showings: Other salespeople may be less reluctant to view your home. • Used as leverage: Other realtors may use this home to sell against homes that are better priced. • Lower price: An overpriced home, still on the market beyond the average selling time, could lead a lower selling price. To sell it, you will have to reduce the price, sometimes, several times. In the end, you’ll probably get less than if it had been properly priced at the start. • Wasted time and energy: A bank appraisal is most often required to finance a home.